It is relatively easy to be “trained” in the techniques of tapestry. This can happen on a “do it yourself” basis by following instructions in books, or by taking some of the workshops which are offered around the country. What is more difficult is to be “educated as an artist,” which is what college art and craft departments do. Those essential studio foundation courses in drawing and design which teach basic skills as well as how to look at work with a critical eye, are not a part of an education based upon workshops. Of course it is possible to take such courses piecemeal at community colleges or college extension programs, and this is essential to develop a design vocabulary and drawing skills. Unfortunately, this is the path that most people working in tapestry today are forced to take. Ad hoc courses in foundation skills do not, however, solve an even more serious lack – an education in art and ideas as it relates to placing the work in a conceptual context. Because of the absence of this knowledge, the gap between fiber art and tapestry has continued to widen. As a result tapestry has become more and more marginalized from the center of theoretically based fiber work. Specific conceptual ideas such as those previously described, often bypass those who work in tapestry unless they keep abreast of what is happening in contemporary art and craft. Since curators and jurors are generally looking for work that interprets cutting edge ideas in art and culture, being out of the mainstream has serious ramifications. A. 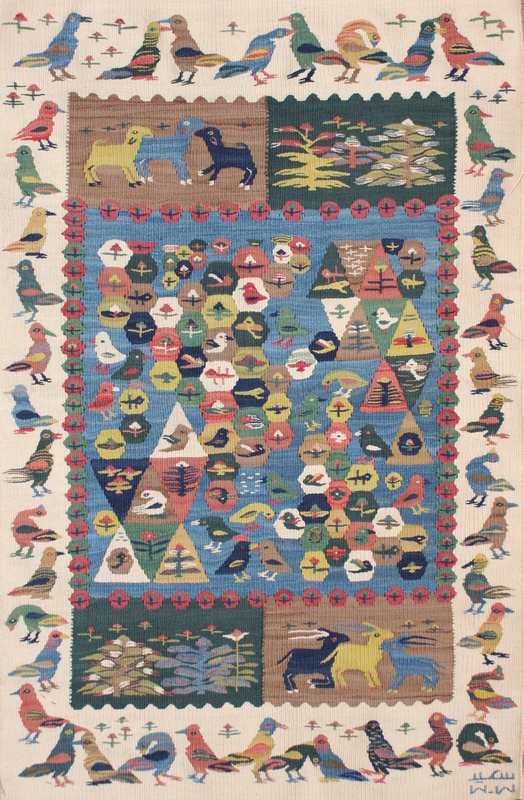 The techniques and materials of tapestry are traditional, and do not reflect the spirit of innovation and experimentation typical of art work in the 21st century. Is this true? Examine your own practices. 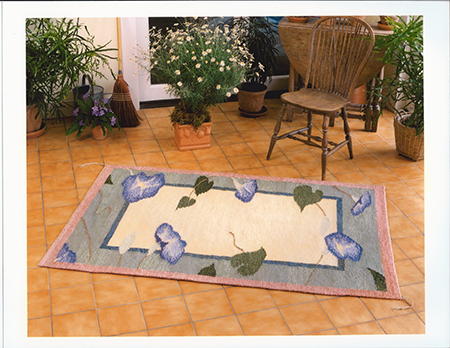 We have all heard tapestry makers take pride in the use of materials and techniques which have been used for centuries. Why is this? Is it because those are the materials we have been taught are appropriate? Appropriate for what result? Check the last several ATA catalogs and see what materials exhibitors have used. What efforts have you made to take risks with materials and technique, and move out of the territory of the traditional into the unknown? B. 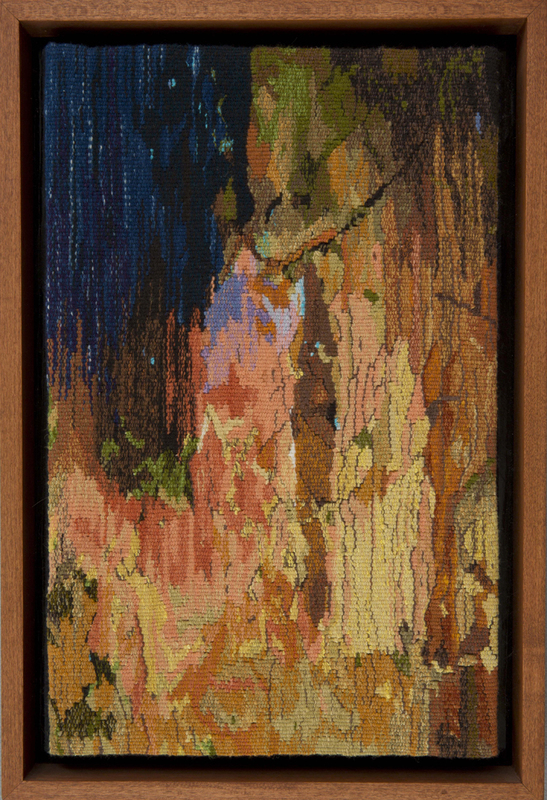 With a preference for technique over content, contemporary tapestry makers continue to mimic painting, and more recently photography, and have been left behind as the rest of the fibers world explores concepts in a manner which exploits the unique qualities of fibers, textiles and media-specific techniques.